Assignments are Arena’s request tracking system. 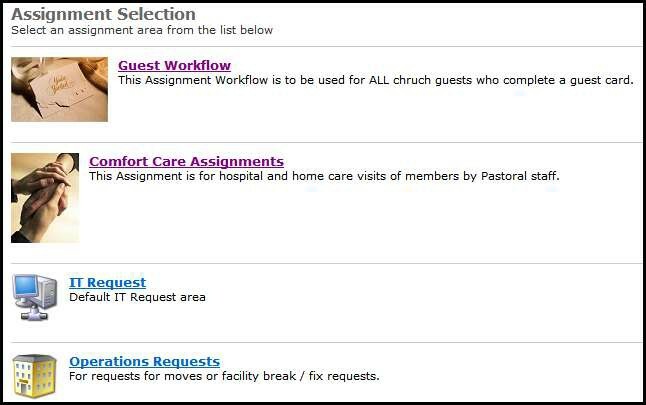 You can use assignments to track many different types of requests such as IT, Operations, Comfort Care Ministries, assimilation processing and more. You can also use Assignments to begin a Workflow from the Person Detail page.